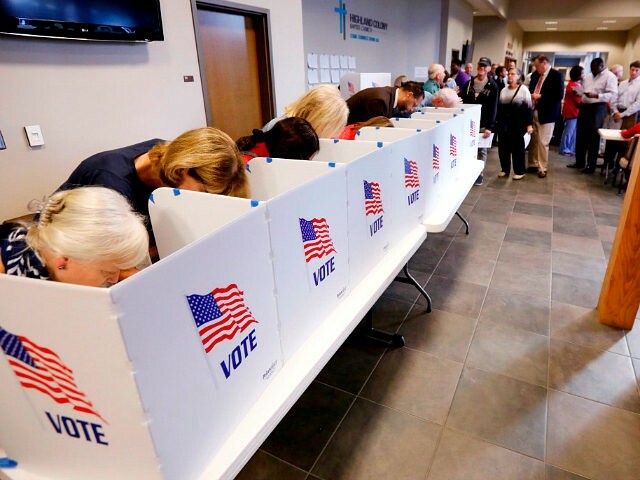 American college professors are having a hard time processing some of the results from Tuesday’s midterm elections. Georgetown University Professor Christine Fair, who tweeted in October that white male GOP senators deserved slow “miserable deaths,” said that the midterm results revealed America’s bigotries. “Results showed our country is divided into racist, xenophobic, misogynist, and xenophobic bigots on the one hand and those who embrace diversity as the source of our strength, who aspire to extend equal rights to all irrespective of race, creed, gender, who you love on the other,” Fair tweeted. Mark Copelovitch, a political science professor at the University of Wisconsin, Madison, tweeted out the “Senate popular vote.” The tally shows the total votes Senate candidates received for each party. The Senate was established by the Founding Fathers to ensure that each state had equal representation. Some professors offered more level-headed, analytical responses to the midterm elections. Before the election, SUNY New Platz Professor Laura Ebert was caught stealing GOP lawn signs from residents in Rosendale, New York.